Commissioned and premiered by Xenia Pestova for Chamber Music New Zealand tour, 2017. Recorded and broadcast by Radio New Zealand concert, and by Sounz Resound. Subsequent performances include Daylight Music Festival, London, March 2018. 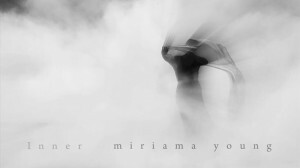 Download SyncSound App to participate in Miriama Young’s Grey Ghost. The live performance relies on you! The App streams a soundtrack of transformed birdsong whilst Xenia plays piano. Subsequent screenings include: Documentary Edge festival (NZ) 23, 25 May, 5, 8, 13 June; World Ocean’s Day Hawai’i 2015, June 2015; CayFilm: Cayman Islands International Film Festival, 19 June 2015; New Zealand Mountain Film Festival 2015, July 2015; Wildlife Conservation Film Festival, October 2015. Subsequent performances: Kyle Hutchins & Neil Qiang – Studio Z, St Paul, USA, 6 March 2015 & University of Minnesota, 24 March 2015; Kyle Hutchins and Hyun Kim – Recital Metropolitan State University of Denver, Denver, CO, 19 October 2015 @ 7:30pm. 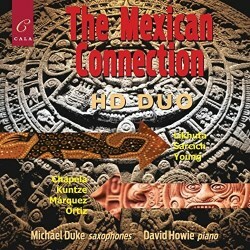 HD Duo – Mexico, 25, 27, 28, 29 April 2015; Queensland Conservatorium of Music, 15 May 2015; Western Australian Academy of Performing Arts, Perth, 8 August 2015; Sydney Conservatorium of Music, 25 August 2015; St John’s Southgate, Southbank, Melbourne, 29 August 2015; Charles Darwin University, 9 October 2015. A young girl finds herself pregnant. When confronted by her parents she declares the child is a holy man’s. Despite the threat to his reputation and position, he accepts responsibility without complaint…but why? A timeless tale of humanity and forgiveness, with music inspired by the richly resonant sounds of the temple. ‘Although Western attempts to understand Buddhism are frequently problematic – the translation of the key ideas into Christian philosophy has led to a generation of mistaking a vibrant tradition with a vague self-satisfied quietism – Zen Story is fifteen minutes that reflects on a famous parable. Shoving a pithy slogan and allusions to other Zen stories into the mix, and a score that suggests Japan rather than orientalise the orchestra, librettist Alan Spence and composer Miriama Young match the simplicity of the myth with a gentle opera. ‘Naturally, the passions that drive opera are submerged beneath the Buddhist insistence on acceptance: in this subtle tension, the words are allowed to resonate and the monk-hero Hakuin’s message of compassion for suffering is illuminated. Simple phrases become resonant. When Hakuin concludes “is that so?”, the depth of his teaching is radiantly apparent. Titlipur is a real time interactive piece for dance, utilizing custom-made hardware. The choreography is drawn from the Butoh tradition and explores the human habitation of a bird-like form through movement. For the interactive sound component, Sara manipulates in real time birdsong samples of a bird endemic to the islands of New Zealand, the Tui. In terms of the technology, custom-made hardware features a pair of accelerometers attached to the dancer’s hands, so that as she moves, a signal is sent in real-time via basic stamp to a Max MSP patch. The sounds themselves, as they are derived from bird song, have a vocal-like quality, which Sara exploits in her theatrical interplay between sonic performance and choreographic improvisation – as if the bird-like creature were speaking or “voiced” through her body. In this way, the dancer transforms the birdsong using her body, and the role of dancer, choreographer and composer elide in performance, creating a palpable tension that challenges our traditional notions of the relationship between the body and music in works for dance. She plays her body to make song, but also dances to the sounds she makes with her body. Additionally, I composed an electronic soundscape that provides the background accompaniment to Sara’s structured interactive improvisation. This piece featured in Anemone Dance Theater’s show series at the Puffin Room in New York City, and as an installation at Gallery 138 in Chelsea, NYC. The piece features on CD in the book, Just Like Us; alongside an analysis and commentary by Dr Dugal McKinnon. ‘First prize was won by the same student as last year, Miriama Young… for Caul for solo clarinet and tape. It was of exquisite refinement, careful construction, and a cumulative emotional impact that drew you increasingly into it’. – Lindis Taylor, The Evening Post (New Zealand), 16 September 1998.